Growing microgreens indoors is the easiest of all indoor food growing. These little sprouted seeds are veggie and herb seedlings and can be harvested within weeks. They offer a multitude of flavours from mild to spicy, with nutty and hot ones as well, and you can grow a good amount in small space. And, bonus, if you harvest them right, microgreens regrow after cutting. This is one part of indoor vegetable gardening tips to have you growing veggies and herbs even in the smallest space in your home. 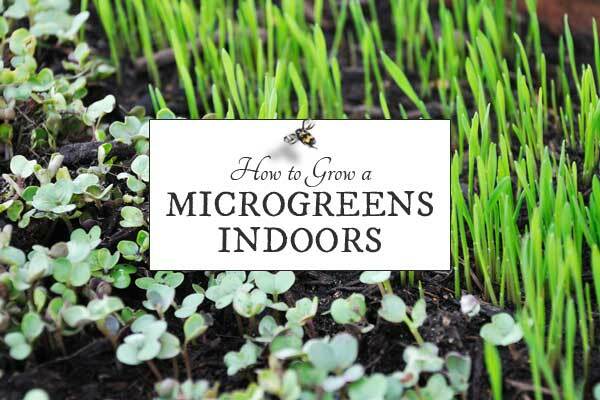 Microgreens: How to Grow Nature’s Own Superfood by Fionna Hill provides detailed information on how to grow microgreen indoors—from planting and harvesting—for 35 popular varieties, along with recipes and ideas on how to use them. 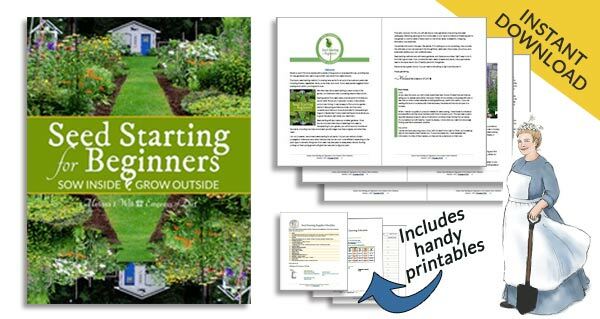 There are also chapters on troubleshooting, the nutritional value of microgreens, and how to encourage children to grow and enjoy them. Images courtesy of Firefly Books who also provided a review copy of this book. Every time I hear a news story annoucing a product recall of sprouts, microgreens, and salad greens (the ones you buy at the supermarket), I wish an ad would pop up encouraging everyone to grow their own at home. The problem is not with the actual crops (healthy, fresh, delicious), it’s with the mass-commericalized growing methods. You can avoid any trouble by simply growing your own at home. What’s the difference between sprouts and microgreens? Sprouts are basically germinated seeds. You eat the seed, root, stem, and underdeveloped leaves, usually grown in dark, moist conditions (water). Microgreens are planted and grown in soil (or growing medium). They are the edible seedlings of herbs and vegetables. They are larger than sprouts and smaller than baby salad greens. Personally, I avoid sprouts because I’m not good at staying on top of their care. I prefer to grow microgreens and baby salad greens (see grow salad green indoors). If you want a really simple gardening project to do with kids, microgreens are great because they are both very fast-growing and edible. Plus, the delicate taste and actual size of the greens seems to entice the littles. What types of seeds can I grow as microgreens? How long do microgreens take to grow? Most varieties are ready in a week or so. Some take a few weeks. Where can I grow microgreens? Anywhere you have room for a container! Outdoors on a balcony, patio, or terrace, or indoors on a windowsill or under grow lights. Do microgreens regrow after cutting? Yes, if you harvest them right, they can regrow. The proper way to do this is to trim the microgreens just above the soil (growing medium), leaving enough of the tiny stems with the roots in tact so that growth can resume. I do the same thing with all the leafy salad greens I grow: I harvest them with clean, sharp scissors, and the base will regrow leaves, sometimes several times over. How can I eat microgreens? Although you could cook them, microgreens are best enjoyed raw. Read your seed packets and provide recommended sowing and growing conditions. Use shallow, lightweight containers with drainage. Sow one type of seed in each container. Some seeds benefit from presoaking (peas, corn, wheatgrass). Use organic growing medium intended for food crops. Keep soil (growing medium) moist (not dry or dripping wet). Microgreens can grow close together but do allow room for each seed to root. Keep warm and covered until sprouted/germinated. Once germinated, provide light, air circulation, and maintain moisture. Avoid harsh light or heat or they will dry out, wither and die. That’s about as easy as it gets! Winners have been notified by email. Thanks for entering! 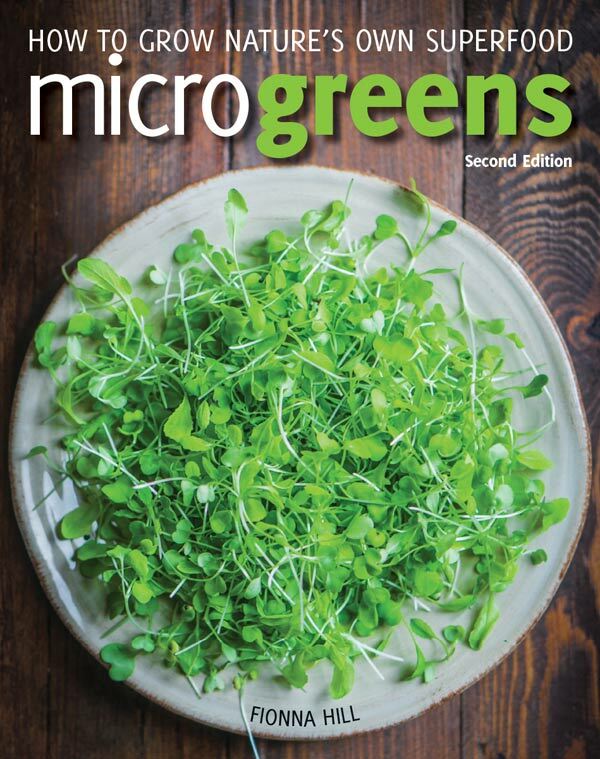 Microgreens sounds like a deliciously fun book! We love growing our own food. It’s so much more nutritious and we know exactly what’s going into our food as well. I would really love to know more about growing microgreens. 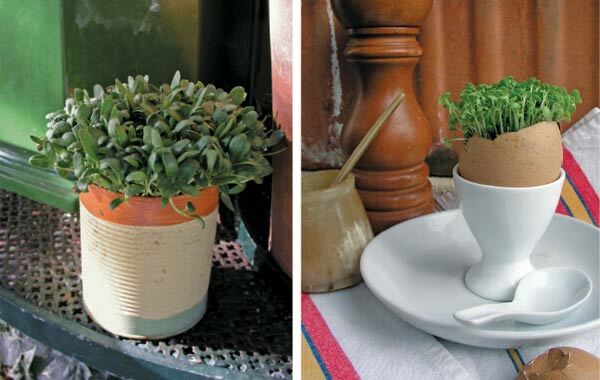 love to grow my herbs..so these would fit right in~!! I would love a copy of Microgreens. I once had a large garden but now I just grow in pots – herbs, tomatoes and hot peppers. Microgreens would be a great addition. I love radish sprouts so I would start with radish and maybe fennel. The book How to grow micro greens would be very useful to me. I have experimented with not great success though I do sprout and have a large veggie garden as well. We just had 8 inches of snow here in Canada’s midwest so I’m dreaming of the garden. How to Grow Nature’s Own Superfood Microgreens would permit me to grow year-round. Can’t wait to see my early season spinach. Happy growing everyone! How To Grow Nature’s Own Super Food :MICROGREENS. This would be something new for me. Never tried it before but have thought about it. My husband is recovering from a year of battling Lymphoma and I have been in the process of changing how and what we eat to help him truly recover his body and immune system. I have no doubt that growing and eating microgreens would add to the improvement of our current diet. I do hope I win!! It would make me very happy to be able to help him and us with superfoods!!! s hard to get my family to eat them, I might have better luck with the microgreens? I love growing my own food. I have had good success some years and not much success in others, but I always enjoy it! I would love to have the book about growing microgreens. Microgreen would be a wonderful addition to my indoor gardening. I tried growing microgreens last year, perhaps the book will help. I worked a long stretch and forgot them. At least the bunny enjoyed the larger plants. A copy of Microgreens would be a great addition to my gardening and recipe library. Our local farmers market has a seller that always have sprouts/micro greens for sale. I grow lots of my own veggies and want to expand my greens for this year. I am interested in growing Microgreens and enjoyed your info – the book Microgreens does look tempting and I wouldn’t mind winning it but I will start with the info you’ve already given. Wish me luck!! I’ve loved gardening for years but now I’m learning about permaculture and sustainability. This microgreen concept is most interesting too and would be a blessing to me and my family. Gotta do it! How to Grow Nature’s Own Superfood: Microgreens sounds like a book that I would enjoy. I am trying to learn all I can about growing food and being self sufficient. I want to give my family the freshest and healthiest foods possible. Would love a copy of Microgreens! I have started my own garden this year to include a lettuce bed! Might need some help! “microgreens” OMG who’d have thought!! 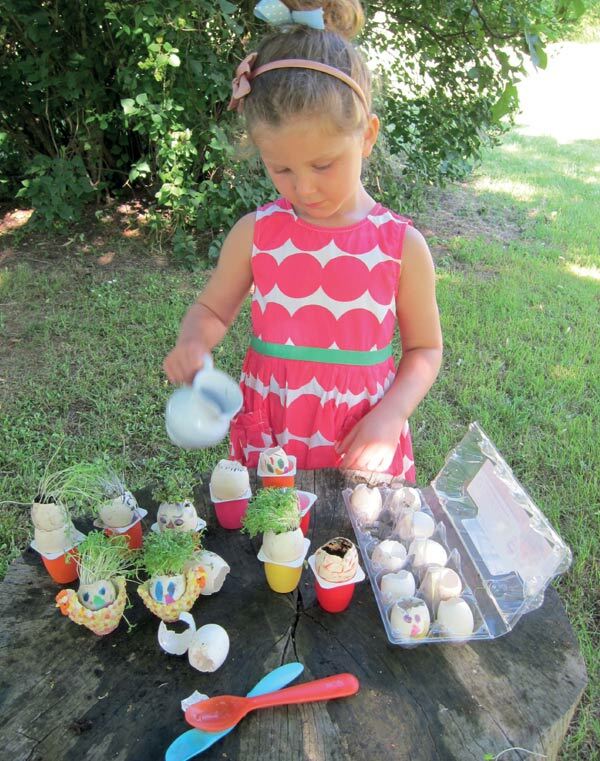 What a great project to do with my grandkids!!! Thanks!!! I would love to win a copy of the How To Grow Natures Own Superfood Microgreens book. Sounds so interesting. I guess in a way I eat some microgreens in the summer by grazing in my pasture for sweetgrass. I can’t wait to get started on my veggie and herb garden for this year. Nothing taste better than fresh homegrown veggies!! I have been growing these for a while but I am sure the book will teach me even more about this tiny super food !